Family Unbroken is the second book in The Delahass Legacy series, the continuing saga of one family’s search for answers to questions rooted in events that took place generations ago. Ann Delahass has always wanted to visit the place that her ancestor, Jeremy Delahass, had been inspired by when he built Nolbeloir House. She and one of her cousins, David Delahass, have decided to finally make the trip to Espinola in the hope of visiting the old school and learning what they can from it. At the last minute they invite Keegan O’Briaen to join them on their trip. It had never been a secret that Keegan was descended from a man who’d written about Jeremy Delahass during his time in the limelight. What none of them knew was that the two men had known each other long before that. Keegan has questions of his own that need answers and not all of them involve his long gone ancestor. With his help David and Ann begin to find what they're looking for. But with every answer more questions arise and it doesn't take long to learn the tragedy that struck to the core of what Jeremy Delahass valued most. As David and Ann look for answers in Espinola they find just how much they didn’t know about Jeremy Delahass. And as they walk through the old building he’d once gone to school at they realize that there is much more to the legacy left behind for them than they ever could have known. 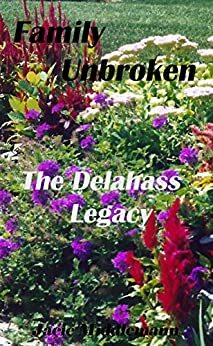 Family Unbroken is the second in The Delahass Legacy series that also includes Family, Family Shadows, and Family Always. 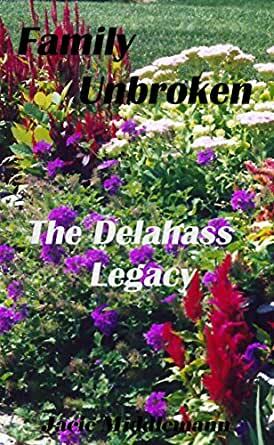 The Delahass Legacy series tells the story of how one family learns the lessons of what’s important in life and how despite the centuries and generations that pass it remains the same. Family. The Delahass Legacy is a series of books classified by Amazon as short reads and some are a bit longer. The books in this series fall in the two hours and more reading time. If you enjoy sitting down with a novella style book you’ll enjoy The Delahass Legacy series. 5.0 out of 5 starsA MUST READ!!! Love all of Jacie Middleman's books recommend them to everyone. Good read makes you want to finish the series. 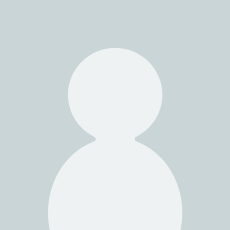 Good author.